Pulling people in with your valuable content. Focusing on building a happy long term email relationship as you capture more leads. Becoming their problem solver by giving them value that they perceive as something they need and want. #1 Social media amplifies your content message, benefiting your chances to capture more leads. When your audience learns about your brand on social media, it gives you the opening to turn those “Likes”, and followers, into leads. When you capture more leads, you have more possibilities of building a relationship with your email contacts. How can you capture more leads using social media? When you send your audience to your blog posts you’ll have an optin box on your blog, or in your post, and share that optin on your social media sites sending your readers over to your free gift offer. Using keywords strategically to move your content up in search engine page rankings over time. Bringing more visitors to your blog and social media platforms each day. Evaluate all your social media profiles making sure they’re consistent and you are using your keywords for SEO optimization. Check that your banners are consistent with your message and include your call to action (CTA) in your banner when allowed. How can you put a CTA in your banner and capture more leads? Take a look at my LinkedIn Banner – it has a CTA right in it. This is a url where I want to send my readers to pick up their free gift from me in exchange for their email and name. The better the quality of your offer, the better the quality of the lead. 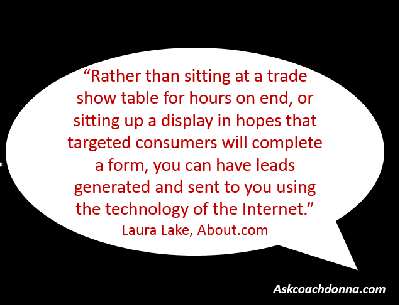 How do you get a great idea for your offer and capture more leads? Think about it from your audience’s outlook. They want what’s in it for them – nothing more! They’re looking for the ‘magic bullet’ that will give them EXACTLY what they want and need to transform into their ideal. You need to know what their ideal transformation is. When you capture more leads you have the opportunity to give a treasure of resources to your list and provide them with what they want (and need) from you. As a blogger, this doesn’t apply to me, but I can totally see where it would help small business owners!! I am always working on the list just taking me time …so much to do I need to organized. This was a very informative post on how to improve your social media engagement. Thankfully there are resources like yours out there to help others who are starting out. these are all great tips – I have been blogging for 10 years now and hit plateaus and peaks and then always seem to surpass those – it’s always work! Great tips! I don’t really have a business, however my blog IS my business and I’m doing really well with my blog, but there is always room for improvement and the need to amp up the engagement and followers! This is really helpful. It’s a lot of work trying to optimize everything about your brand and your content. It seems to pay off though. Great tips DONNA! For sure this tips can greatly help businesses to capture more leads. I need to spend more time analyzing how well my posts are doing on my social media channels, and see where the most return comes from so I can spend more time focusing there. Just need to carve out some time! These are great tips. I think building your email list really helps. These are great, sound tips to getting more leads! Nothing in life is magic.